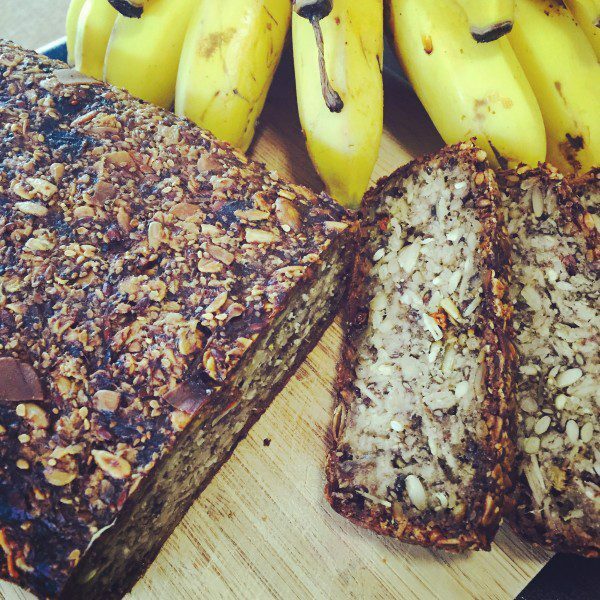 A banana bread version of my ‘Best Ever Blend11 Bread‘ ! Mash bananas & mix through all dry ingredients. Place in a loaf tin lined with baking paper & add coconut oil, water & mix throughly (until it’s quite gluggy). Press firmly into tin and leave on the bench for approx 4hrs to set. The loaf is ready to go in the oven when you can pull the paper away from the side of the bread & it keeps its shape. Place loaf in oven for approx 30-40minutes. After this time pull it out of the oven and flip it over to cook on one of the oven racks for another half hour or so (depending on your oven). The loaf is ready when it’s golden all over and makes a noise when you tap on it! Serve with butter and or honey or however you like to enjoy! Also this loaf freezes well!